Sony STRDH190 vs Yamaha R-S202BL – how to choose? 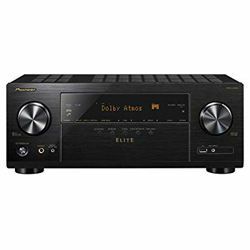 Yamaha's handsome 100-watt-per-channel R-S202 stereo receiver has a lot going for it. Versus former one, Sony impresses with its usability. Read more below! Speaker wires fit easily into the clamps on the back. Sound quality is very good. The phono doesn't have any buzz once the grounding wire is tightened well. Everything sounds well balanced through my bookshelf Polk speakers. 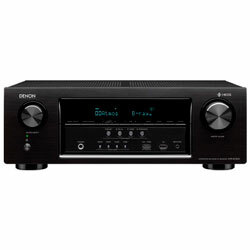 This Bluetooth stereo/ receiver amplifier is top of the line quality. The sound is amazing. Has full function remote, up to 8 different Bluetooth devices can be synced and it will automatically connect to whatever one is on when Bluetooth is selected as the input. Set up of Yamaha R-S202BL vs Sony STRDH190 is pretty simple. Phono jack with grounding wire is obvious to plug in and the additional RCA inputs let you customize where to plug things in. The remote control lets you rename the inputs to label what goes in where. 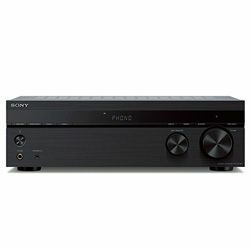 Sony STRDH190 is easy to setup, with great functionality. It allows you the option to turn on and off each channel which is a great feature. It also comes with a separate AM/FM antennas. 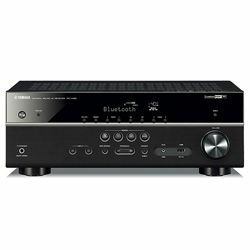 Yamaha R-S202BL and Sony STRDH190 are not full of features, but they have all the essential ones. And the remote controls are excellent in terms of what is included. Sony STRDH190 has a minimalistic design, while Yamaha R-S202BL has more buttons and sleek surface. Also remote of the former looks more stylish that remote of the Sony STRDH190, with colorful buttons. R-S202BL with one main button attracts more than two main buttons on the front panel of STRDH190. Flexible options for different items. You can only pair Bluetooth to one device at a time like your computer or your iPhone, not both. The tuner scans very slowly to find stations. Brushed aluminum finish and simplistic design. 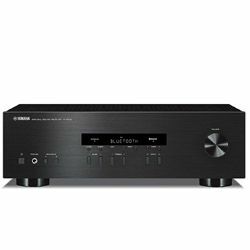 This receiver has Bluetooth, but it lacks a phono input and doesn’t sound any better than our picks (although one panelist picked it as a favorite). When using the onboard Bluetooth adapter you lose bass response, gain, and sound quality.